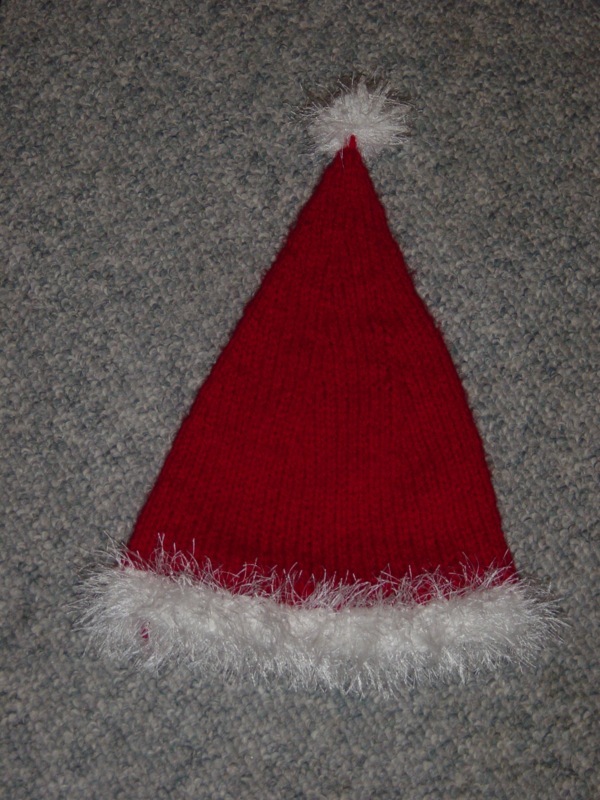 A Santa Hat. I’ve had the yarn for this in my stash since the year I started knitting, so about 4 years now. I never cast it on because by the time I was in the mood to knit Santa Hats, I never thought I could finish in time for Christmas. 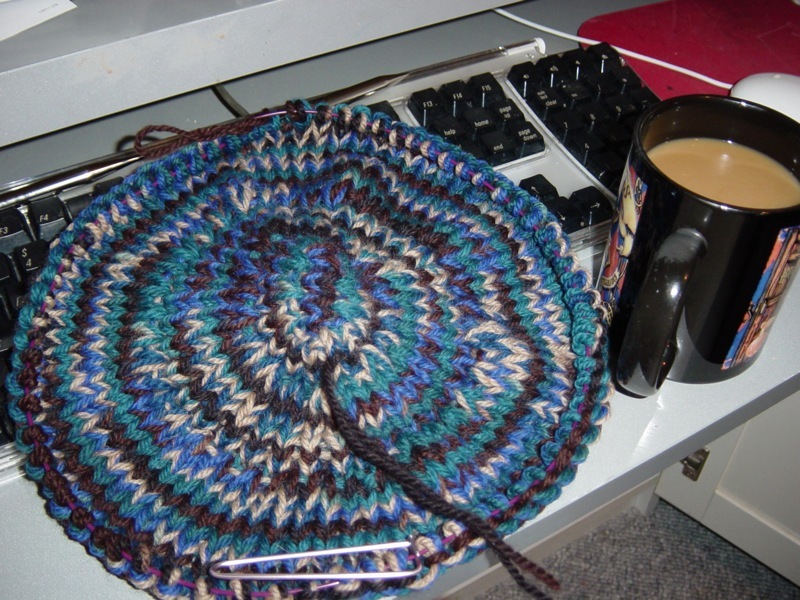 My knitting skills must be coming along because I cast on Saturday afternoon and finished Sunday afternoon. Hooray for learning! A Kitty Pi for Doozer. And, it’s a good thing, too, because last night the kids trashed the cheep-o cat condo we got at Target a couple of months ago. They must’ve caught a little cabin fever because hoo-boy was it crazy in here. Speaking of crazy, it’s starting to escalate again.